One of the things I spent a lot of focus on last year was trying to come to grips with the fact that many jobs, especially those we undertake ourselves, on our own, without any additional help, just take a lot of time to do. They take a lot of time to plan, to source materials, to prepare materials, to put them in place, to make harnesses necessary to actually implement them. Somehow, no matter how much or how well we prepare, these things take a lot of time, more so than we are often prepared to realize. 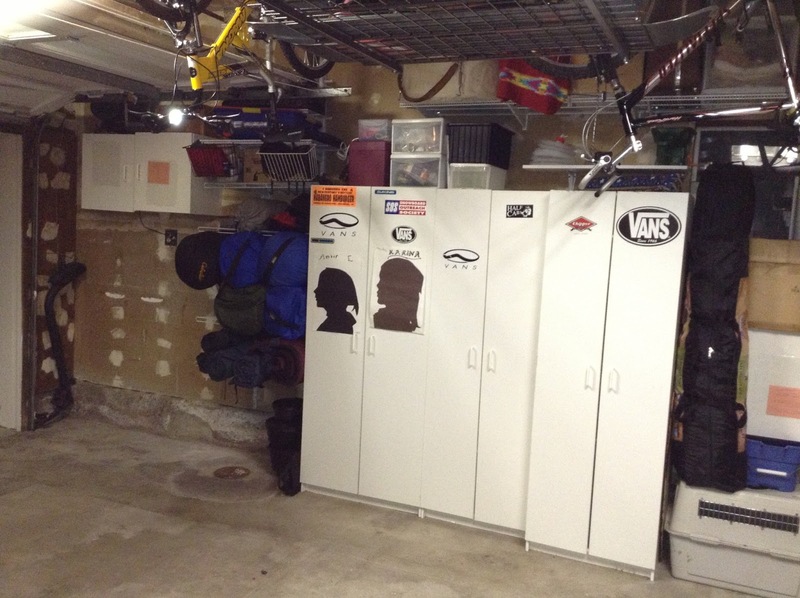 This point has been driven home to me over the past several days, since I decided that, once and for all, I was sick and tired of having to dig through all of my stuff and junk to find what I need in my garage. 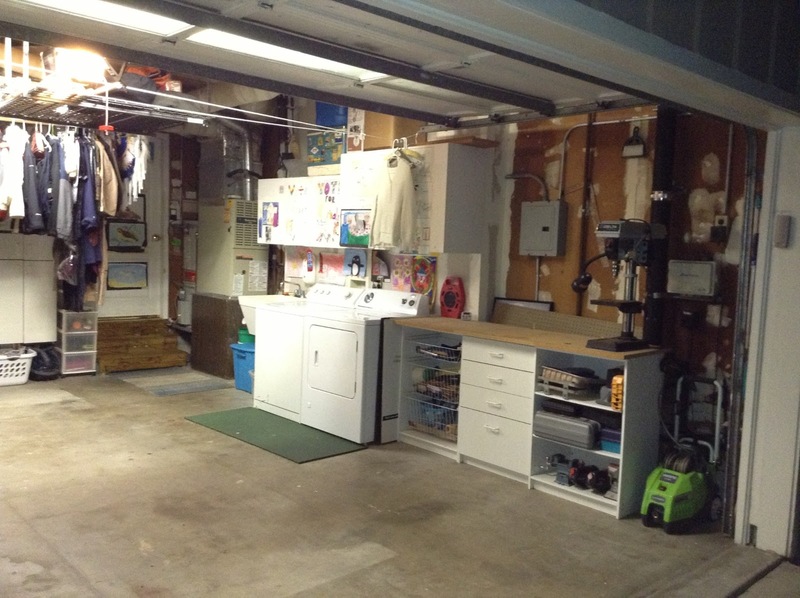 Like many people with houses and active families, the garage often becomes a dumping ground because, to put it simply, we just don’t have the time or cycles to deal with whatever it is. This, of course, repeated multiple times over a year, makes the garage inaccessible, or at least a lot less accessible. We can’t find what we need, so we put of what we need to do. We try to tidy up, but we just move things around. We go an buy something because we don’t realize that we already have it, and it’s buried under a pile of other stuff. And so on. One of the things I decided to do was to see if I could change the map of what my garage was and is. What could I re-order and place in a more reasonable location? I can’t speak for what is typical, but I can speak for what is common in my particular neighborhood and the housing designs that we all share. In my subdivision, almost all of the houses are a variation on three themes; two story Queen Anne, split level, or single level. Most of these homes are built into a rectangular layout with a bump-out that extends along the front of the house. This is the garage, it’s attached, and behind it is usually a courtyard that extends along the main wall of the house, and then opens up to the rest of the back yard. Most homes in my neighborhood sit on 5500 sq. ft. lots. Most homes have three bedrooms, two bathrooms, a couple of hallway closets, a living room, a dining area that’s just off the living room, a kitchen, and a garage. The average house in our area is about 1300 sq. ft. Ours is a bit larger because we have an addition above our garage, which acts as a family room, an office and a half bath, plus a 4 foot stairway that leads upstairs. That four foot stairway, as you might guess, cuts off about 80 sq. feet of the back of the garage. 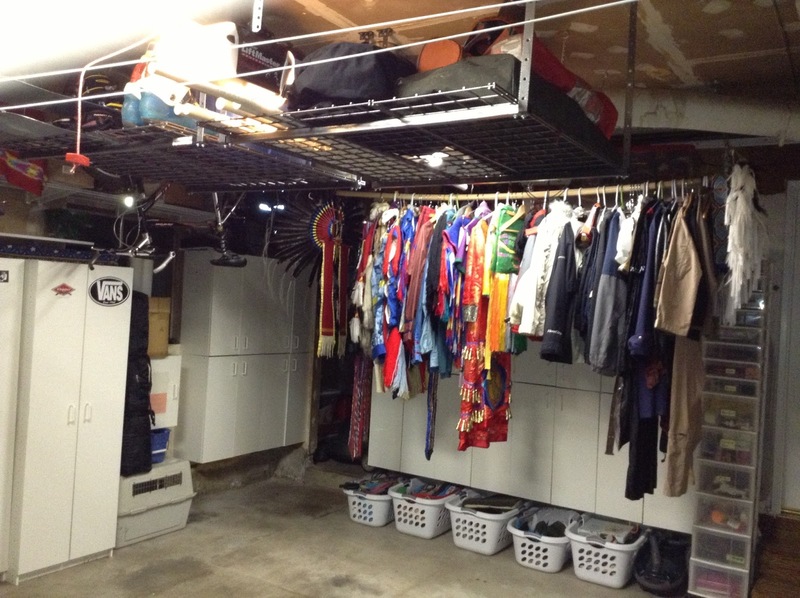 It also makes for a little room underneath it that’s shaped like a triangle, which makes for some unusual challenges with storage. I spell all of this out because, truthfully, many of our neighbors have moved most of their stuff into their garages. They have become stacks for shelves, for books, for storage, for everything that will not fit tidily into their houses. We were slowly turning into one of those kind of houses as well. This time, though, I decided that we had to do something to conquer the chaos, and rather than let frustration dictate what we could do, let’s re-purpose the areas and see what we could do better and more effectively. 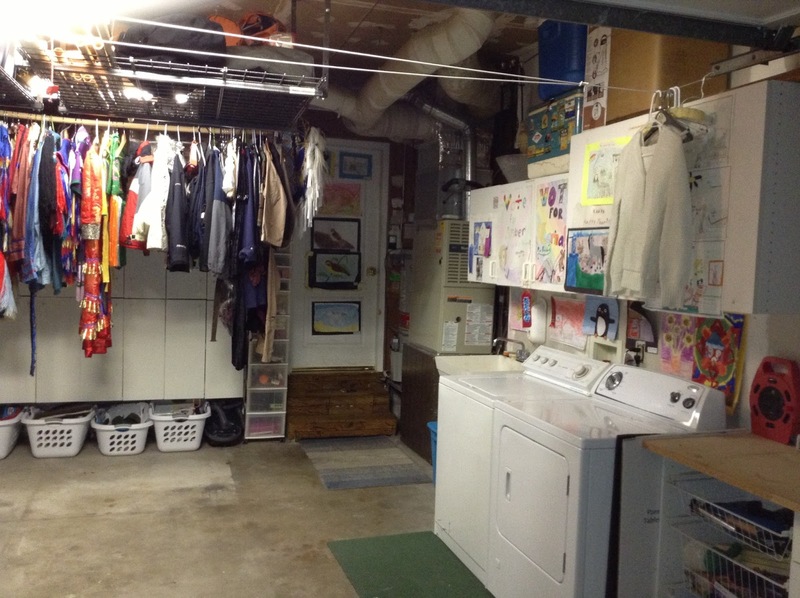 Below is what I refer to as the “after” stage of my new years clean-up. This is the left side of the garage, some cabinets, some shelves and a space for trash and recycling containers so they don’t get scavenged or knocked over by wind, etc. Bikes are stored by hanging. Some additional cabinets, some higher up shelves, and a long curtain rod for what we call “special use outfits” that are not used every day, but there’s no practical place to put them. 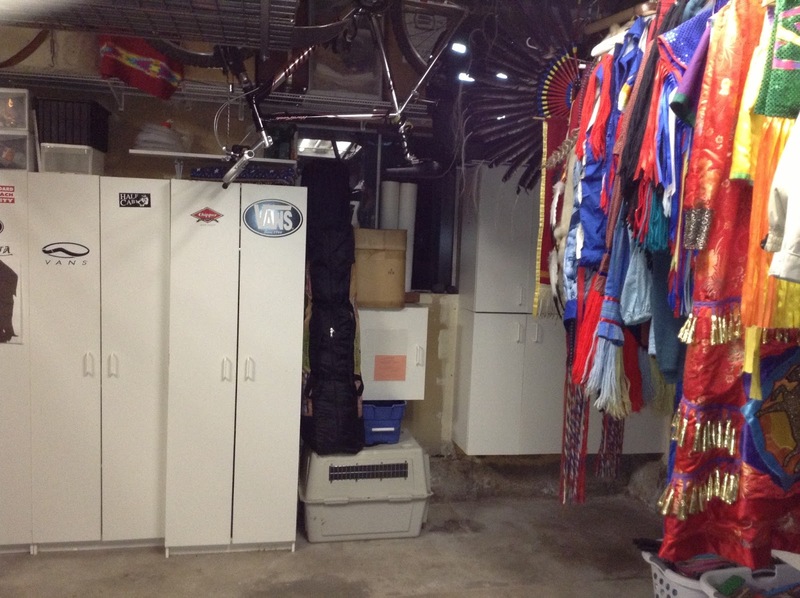 Our back wall and the overhead storage that we use. Due to where the lights are and where the track for the garage door runs, there’s not a lot of places we can use this approach. The doorway into the house (our kitchen area) our heater, a utility sink, the washer and dryer, an some storage cabinets and open space above them (limited ability to put shelving because of pipes and conduit). The final area, which is my workbench. Most of what you see on the wall is piping, fuse boxes drain pipes, gas lines, and other necessary stuff. It’s also rather hard to move or work around. This is by no means perfect, but it’s a huge improvement over what was there before. This also includes a shift of sorts. The area where my work bench is now was what used to be a pile of random stuff. We never really made use of the space because we couldn’t use the back wall to go vertical with anything. For years, it was just this area where things accumulated on the floor. putting shelving there would have been a pain, and then we would be covering important things, the drain pipe access, the main gas valve, our watering timer, our fuses, etc (note, I didn’t design this, the house came this way when we bought it). 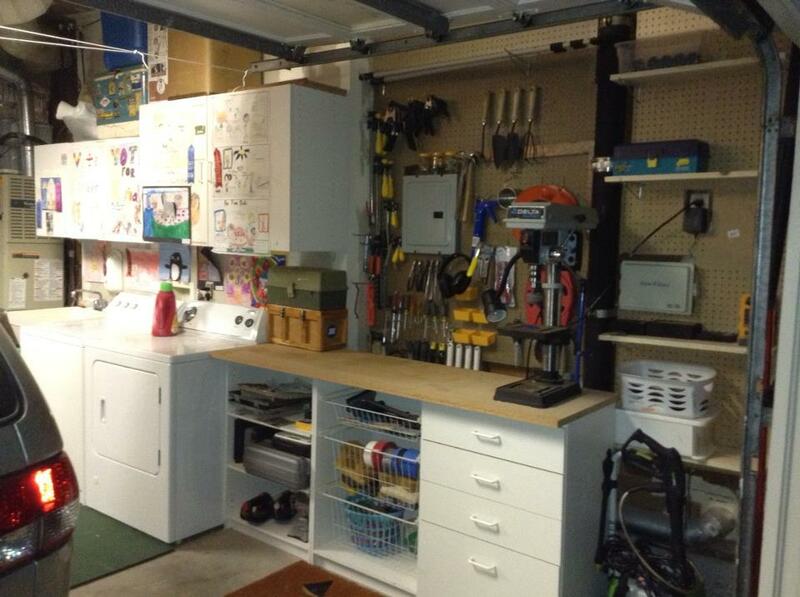 The now finished workbench area, with pegboard and tools and some simple shelves for items that are light-weight. This process of redesigning this area has taken me several days, and overcoming some weird space challenges. I’m sure an architect or a construction expert can find lots wrong with my approach, but as of now, it works, and it meets my needs, and it does something even more important, it lets me find the tings I need for the jobs I need to do. An added bonus, I think i used about every single tool I own in this process, so if I wondered if I really needed a particular set of tools, I now know exactly what I can both use effectively and, in some cases, what I can get away with. Years ago, I did away with a bunch of nice tools, but what I felt were low instance use items. The one “big tool” tool I would not part with, though, was my drill press. This project made it abundantly clear why I’m glad I kept it around :). Sometimes our problems and challenges can seem a little overwhelming, and sometimes making changes to those problems takes some really dedicated and long term thinking. Focusing our energies isn’t enough sometimes. Often, we need to change the entire map of our problem area. When we do that, we can discover solutions we might have otherwise never considered.